DVD Ripper, YouTube/Google Video Downloader, Video Converter for iPod, iPhone, Android, PSP, 3GP Phone, MP4 player! Any DVD Converter Pro is an all-in-one DVD ripper and video converter with fast converting speed and excellent output quality. As a DVD ripper, Any DVD Converter can directly decrypt DVD copy protection, rip DVD disc and DVD folder to iPod, PSP and mobile phones. As a video converter, Any DVD Converter Pro convert all kinds of video formats including DVR-MS, WMV, AVCHD, TS, TP, RM, RMVB, MOV, MKV, etc to AVI, WMV, MP4, 3GP, FLV and audio formats. 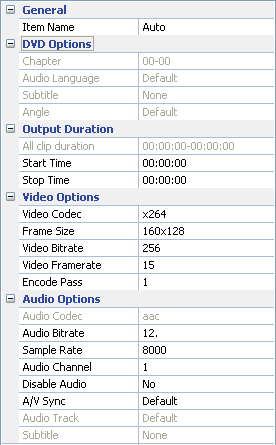 Video merging, video clipping, video cropping, subtitles and more useful features are also provided. With Any DVD Converter,	you can easily watch any DVD and movies on iPod, iPhone, PSP, Zune, Sony Walkman, Archos, iRiver, Creative Zen, mobile phones and game consoles. 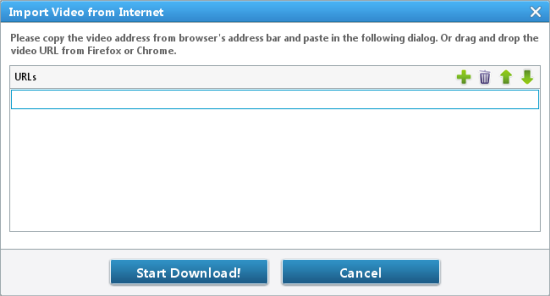 Besides, it also supports burning video to DVD or AVCHD DVD disc with DVD menu. -- copy & paste video links from YouTube, Nico, Google, MetaCafe, HowCast, Facebook, Liveleak, Veoh, Vevo, Vimeo, myvideo.de. Specify page to convert from PDF to Word, EPUB, Image, Text, HTML and SWF. Free capture streaming video from Netflix, Hulu, Metacafe, Vimeo, etc.